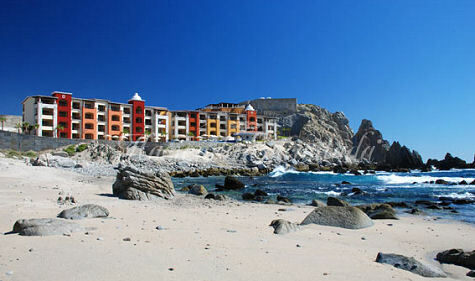 The Hacienda Encantada Resort - Cabo San Lucas, Mexico: Buy a 7 Night Stay in a Luxury Suite! 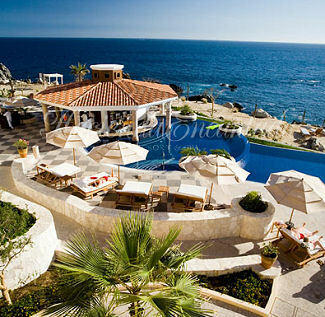 Enjoy 7 Nights at the Hacienda Encantada Resort & Spa in Cabo San Lucas, Mexico! Mexico Grand Hotels is proud to present its new family member, the Hacienda Encantada Resort & Spa, a contemporary beachfront hacienda-style resort. Located in Millionaire´s Row in beautiful Los Cabos, on a clifftop at the tip of the Baja Peninsula, this welcoming resort offers panoramas of crystal blue water, towering rocks and prickly cacti. The Sea of Cortez and its Land’s End arch lies to the right, the San Jose coastline to the left. Scenery doesn’t get prettier than this. Our beach front resort is designed in a contemporary Mexican hacienda style, with amenities ranging from a beach-side restaurant, swimming pools and whirlpools to a restaurant-bar, full-service Spa, and a shopping center. 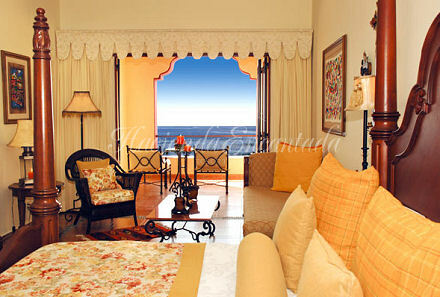 The accommodations at Hacienda Encantada feature breathtaking views of Land's End. Everything from world-class fishing to golf to horseback riding can be found nearby. The area is also famous for some of the world's best marlin fishing, pristine beaches and world championship golf, as well as a wide selection of water activities and restaurants of international distinction. 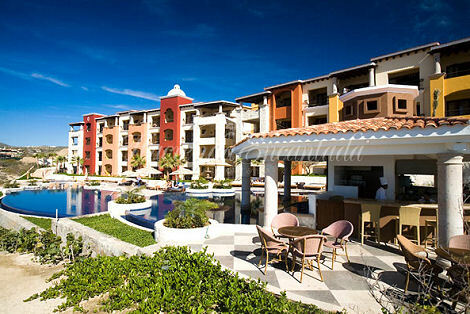 Come and experience the Hacienda Encantada Resort & Spa and feel your daily cares wash away with the sea breeze. 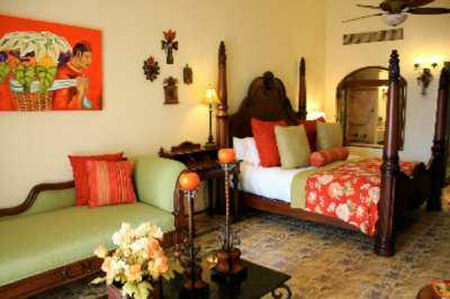 Traditional Mexican hacienda-style décor meets sleek modernity in Hacienda Encantada´s cozy accommodations. Open and airy, each room features high end amenities and handcrafted, custom-made wood furnishings from the artisan colonies surrounding Guadalajara. Luxurious fabrics and rich color accents in earth tones combine with local touches such as embroidered pillows, colorful artwork, and woven t hrow rugs to create an atmosphere that is inviting, warm, and exudes all the comforts of home. These Premium luxury suites are fully furnished with two Queen beds and a full bathroom. With a kitchenette and dining area, guests have the option to cook their own meals. These outstanding suites also feature a private balcony, whirlpool and sitting area for guests to relax and enjoy the incredible views that Hacienda Encantada has to offer. Bar Size Microwave, Bar Size Refrigerator, Burners(in lieu of stove), Dining Table & Chairs, Cooking Utensils, Kitchen Sink, Tea/Coffee Making Facil., 18-19 cu.ft. Refrigerator. Maximum capacity is up to 4 people.